This module is a part of the NetHomeServer. The IkeaGateway manages the connection to an IKEA Trådfri Gateway, which is used to control lamps in the IKEA Trådfri series. 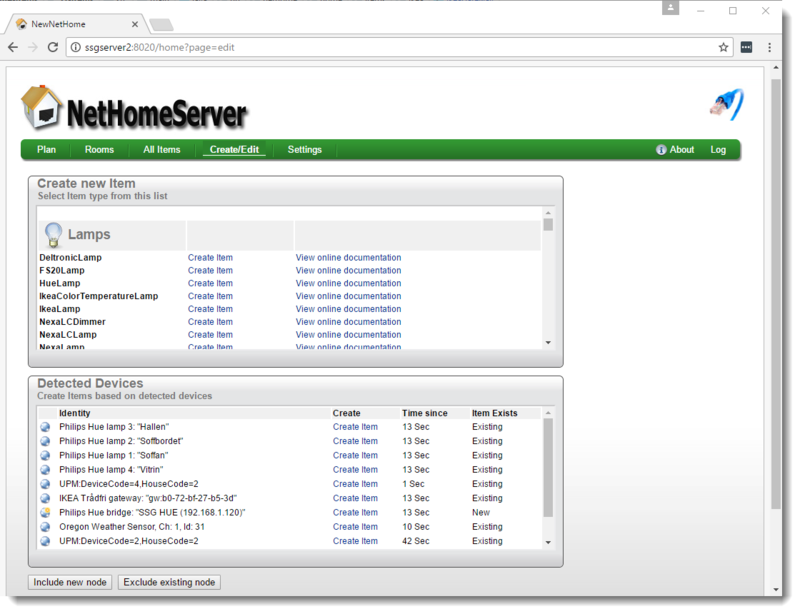 The IkeaGateway can be auto detected by OpenNethome, so as soon as a gateway is connected to the local network, it should be visible in the Item Creation Page. For the IkeaGateway Item to be able to connect to the the gateway, the security code of the gateway has to be configured. The security code is printed on the bottom of the gateway. Address [get] [set] IP-Address of the Gateway, this should be automatically discovered. Identity [get] [init] Identity of the Gateway, , this should be automatically discovered. SecurityCode [get] [init] This code is printed on the bottom of the Gateway. This value is removed automatically when the ClientCode is fetched, since IKEA don't want external clients to store the security code permanently. ClientCode [get] [init] This is the client specific security code which is requested from the gateway when the Item is created. ClientName [get] [init] This is the client specific identity used when sending request. If you have multiple Items accessing the same IKEA Gateway, each Item must have a different ClientName.